Voting will run June 17th thru June 30th. This page will link to the ballot-casting page from June 17th through June 30th, and email newsletters reminding you to vote will also be sent out during this time period. You must be a member in good standing (dues paid), and logged in to azlro.org to cast your ballot. This year, the outgoing council decided, per club bylaws to limit the number of council members to five. We have seven nominees this year, so every vote counts! Having relocated to AZ for work in early March 2014, I knew no one in AZ. I decided to join the club in late March to try and get to know some people, and while I was a total novice when I did, after attending almost every event that year, the awesome group of trail leaders in the club took me under their wing and showed me the ropes, it is thanks to these guys and gals that I decided to become more involved and give back. After seeing and hearing of all the awesome club trips and rallies, I was chomping at the bit to learn more and the opportunity presented itself for me to help with the WNLRR and I jumped at the chance, I haven’t looked back since. 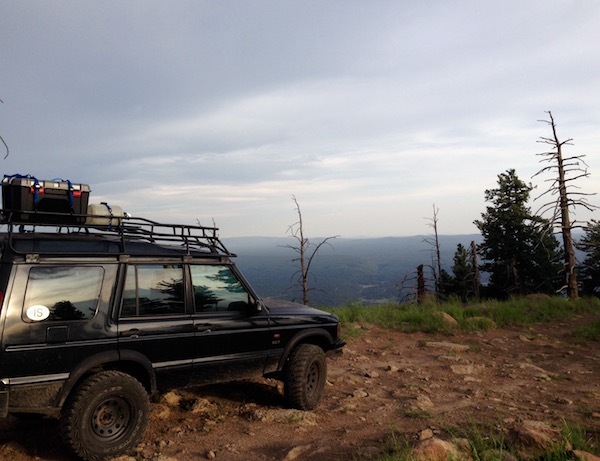 After going through the club Trail Leader training I started leading trails as an official AZLRO Trail Leader in 2015, this led to the transformation of my LR3 from a fully stock to a totally scratched and slightly modified for trails rig, this all eventually led to me running for Council in 2015 and I have been serving since. 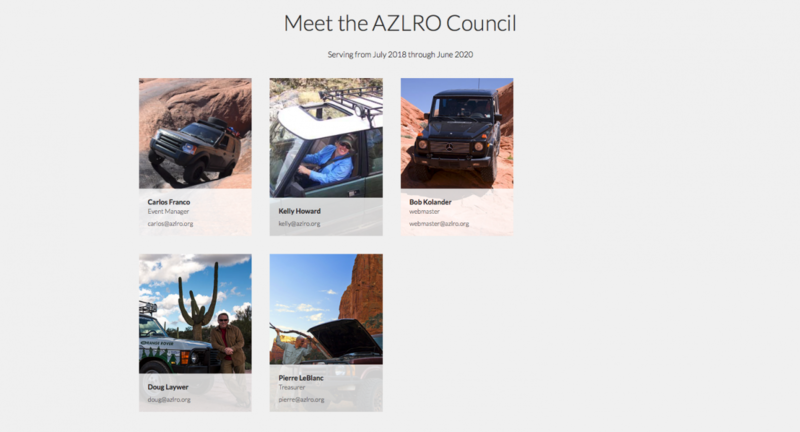 As a current AZLRO council member I have had the opportunity to contribute to the community in any capacity that I can, from helping my fellow council members coordinate monthly meetings, club bbq raffles, the annual car show, rally, and many other menial tasks needed to keep the club running. I am always looking for ways to improve the member experience within the club, from webcasting the monthly meetings to creating the Desert Rover digital newsletter to bring new content and keep distant members engaged. I have many more ideas and contributions I would like to bring to the table, it is for this reason I would like to continue serving on the council for the club. 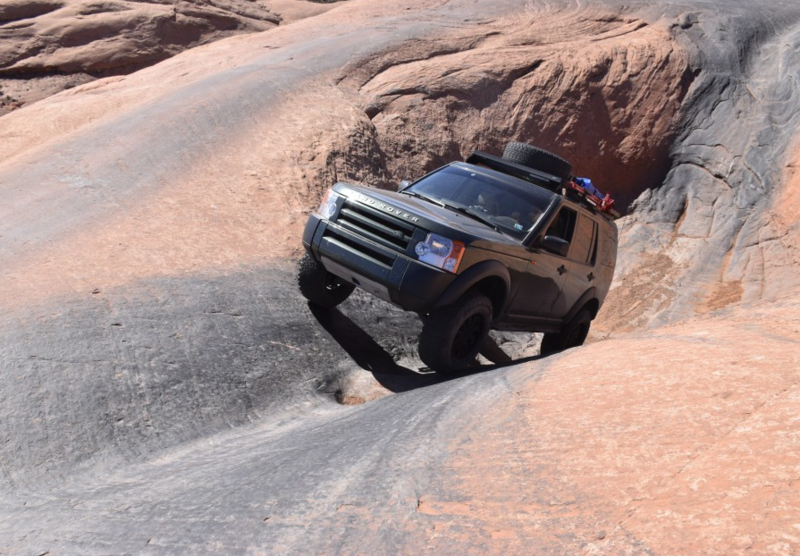 Born and raise Arizonian, I joined the club back in 2010 with a 1999 D2. I Now currently have a RHD Defender 90. I really enjoy this club, I try to make most events and monthly meetings and am also a current member of the council. I was also on the 2017 rally committee and became a trail leader for that event. I've had a great time being on both the council and rally committee and i would like to continue helping the club. Way back in the summer of 1995 Kelly went on a date with this guy who owned a 1973 Series III Land Rover. 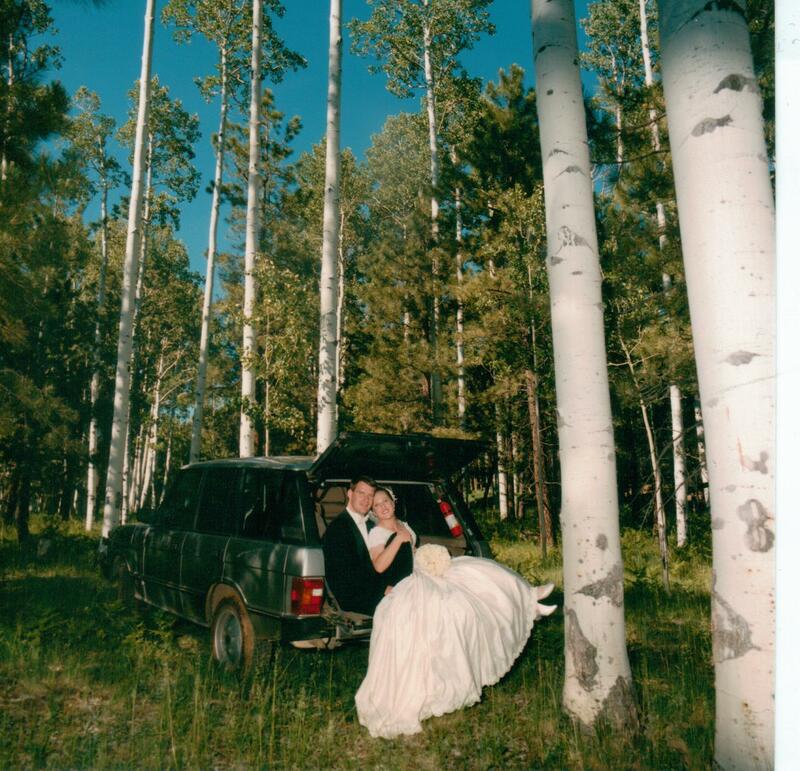 She acted excited about the “Toyota”, so for their first date he took her out on a trail near Flagstaff. Kelly was not very comfortable, she was getting jostled around and didn’t wear the correct attire. The guy was wise enough to recognize that she was not happy. So, he asked her if she wanted to drive. She did and it is questionable who she fell in love with first - the Rover or the guy. Since then she married the guy, James, now her husband of 21 years, and has owned seven Land Rovers. 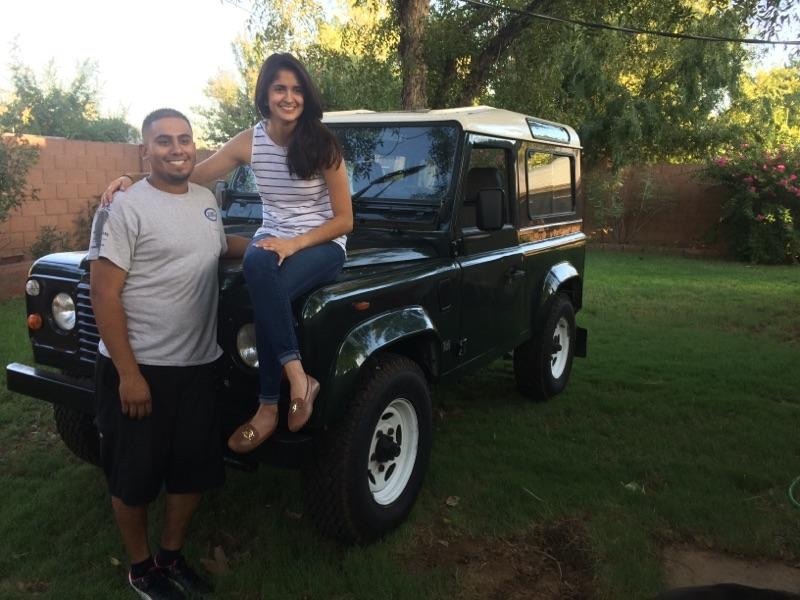 Within a year, Kelly attended the first AZLRO trail run in Tucson, and soon after purchased her first Range Rover. It was a 1989, and she brought her daughter, Grace, home from the hospital in it. 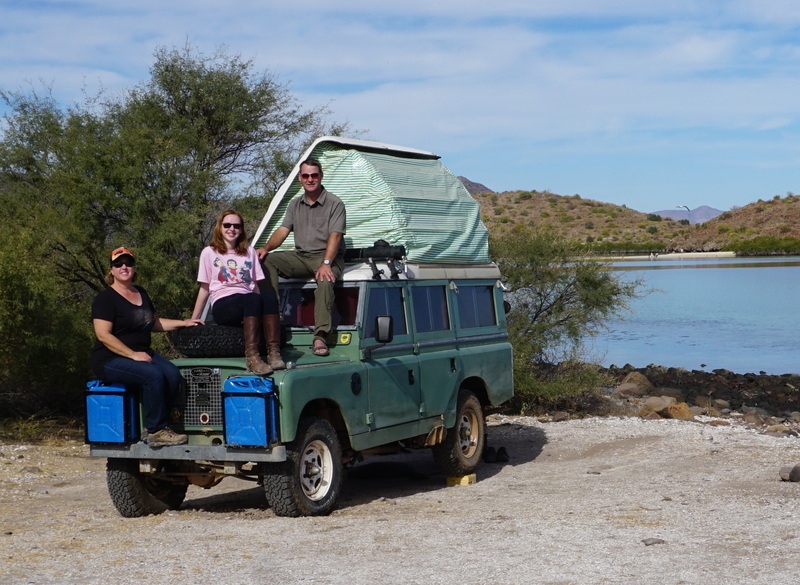 The AZLRO and Land Rovers have always been a family affair for Kelly. 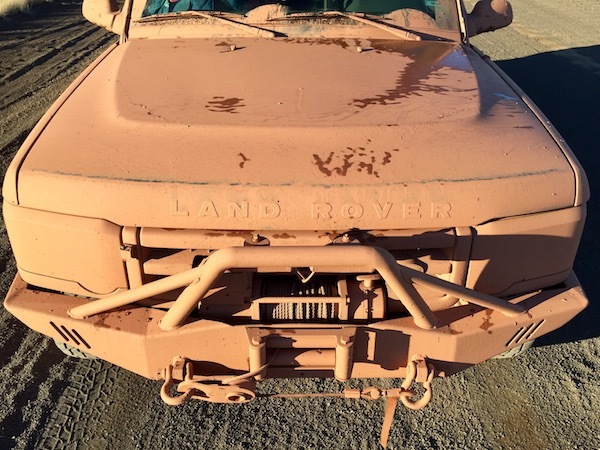 She has traveled extensively in her Land Rovers, as far north as British Columbia, as far south as Guatemala and all the way to the east coast of Virginia. Kelly is one of the founding members of the AZLRO and has been an active member since 1996. She has worked on many of the AZLRO Rallies and was the Chairperson for the 2013 rally. Most of Kelly’s time in the AZLRO she has been leading trails, but became an “official” trail leader at the first trail leader training the club offered. Recently, Kelly has re-started the club meetings in Tucson and is hoping they will become as successful as the Phoenix meetings. Kelly’s current daily driver is a red 1992 Range Rover which she occasionally, lets her husband and daughter use. I miss both my D90 and RRC and currently drive a Gwagen for my offroading adventures, but I, along with millions of others, eagerly await the ever-upcoming release of a new Defender. A club member since 1998, I've also run the club's web site ever since when I moved to Arizona, and been heavily involved with the club ever since. 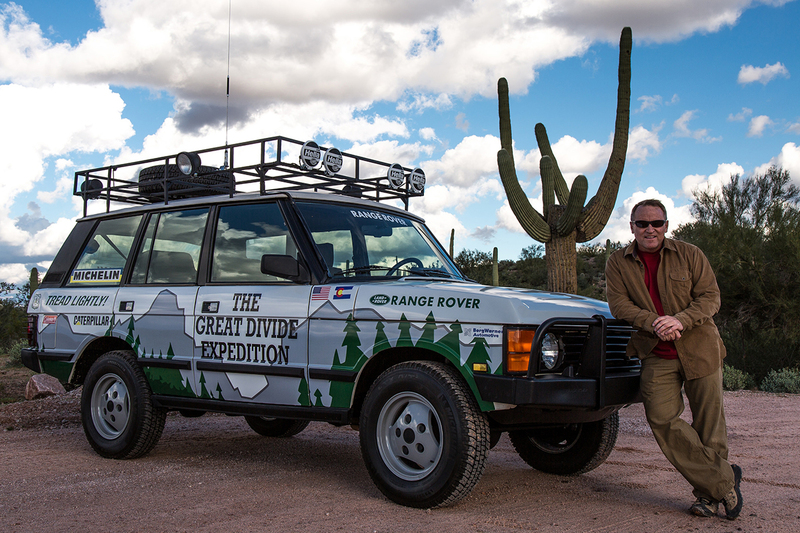 Besides designing and running the web site all those years, I've also had the pleasure of designing Rally logos, hats, t-shirts, and stickers for the club; I've been lucky enough to help organize Rallies, the Gila Challenge, and the 2015 Western National Land Rover Rally. I've also had the priviledge to attend our club-sponsored Bill Burke Trail Leader Training along with several other club-sponsored Bill Burke events, which always teach me something and allow me to make new Land Rover friends. As the webmaster, I receive a lot of member feedback regarding all topics, and would like to be able to continue to give that feedback more of a voice in the council. It would be a priviledge to continue my role on the council. 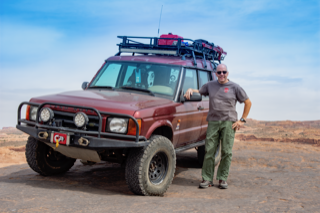 Along with his wife and kids, or his friends, Doug enjoys many miles of exploring and traveling in his Rover and looks forward to many more years of overlanding across the state or across the globe. Celebrating 10 years with this wonderful group, I joined AZLRO in 2008 and progressively became more involved over the years. I am a current council member and act as treasurer and trail master. Recently, acted as chairperson for the AZLRO rally at Goldfield in fall of 2017. It would be my pleasure to return for another term on the council and am looking forward to serving you with my co-council. I was introduced to overlanding as a kid when my family moved from Vero Beach, Florida to Buhl, Idaho. 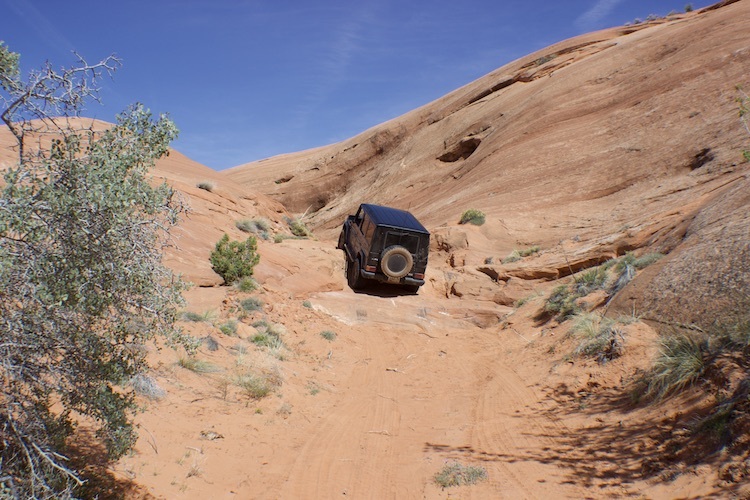 We regularly "car camped" in remote areas of southern Idaho, Utah, California, Nevada, and Arizona. Following several years in Idaho, I moved to upstate New York and then to Flagstaff. 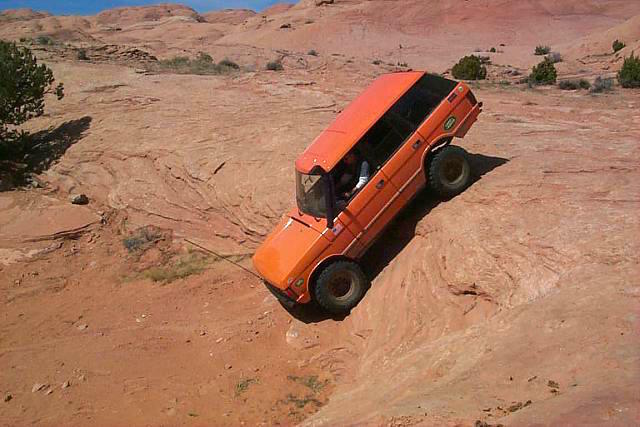 By the time I received my drivers license, I was getting into bouldering (light weight rock crawling). 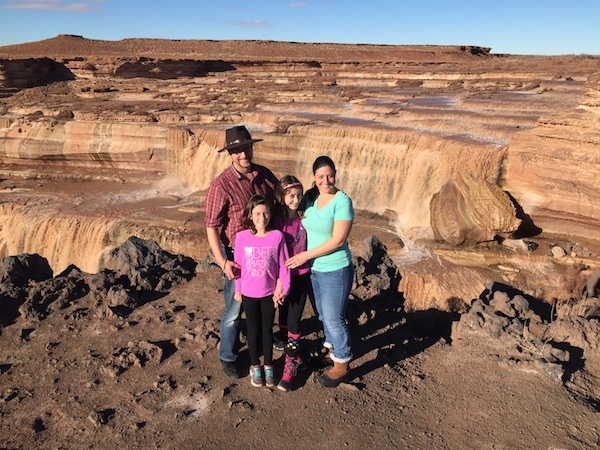 Now, as a parent, my focus is on overlanding once again, to ensure my kids get to see and appreciate nature. 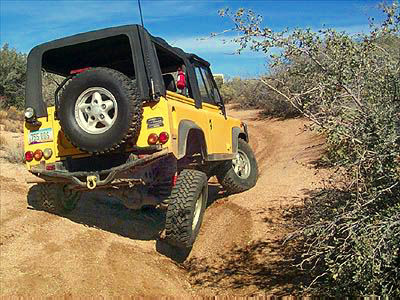 I would like to run for council so that I may help continue the mission of the club to promote safe and responsible off-road travel while exploring the many scenic and fun areas that Arizona has to offer. As a Flagstaff resident, I would like to help organize more events during the hot months of Phoenix at our cooler altitude, and to help develop a stronger remote presence of Flagstaff members in the club. Though I do not anticipate that I will be able to attend regular monthly meetings in Phoenix, I do believe that I can contribute through email, direct messages/calls, and AZLRO FaceBook communication. Voting will run June 17th thru June 30th. Link to the voting page will appear on this page, and in email newsletters to all the members. You must be a member in good standing, and logged in to azlro.org to vote. John Edelmann, was born and raised in Chicago and has lived in Phoenix for over 4 years. He is married to interior designer Julia Buckingham, and has 3 children, Caroline, Alexander and Madeline. 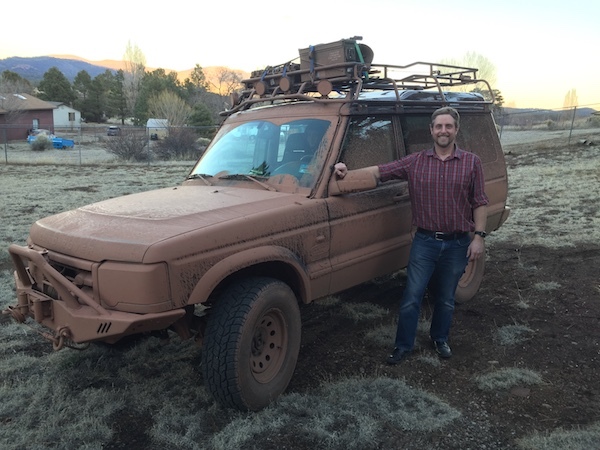 He is founder/owner of Cloverleaf, an innovation consultancy that helps companies innovate new brands, products and services and Knightsbridge Overland, an online retailer that offers specialty products for Land Rovers. 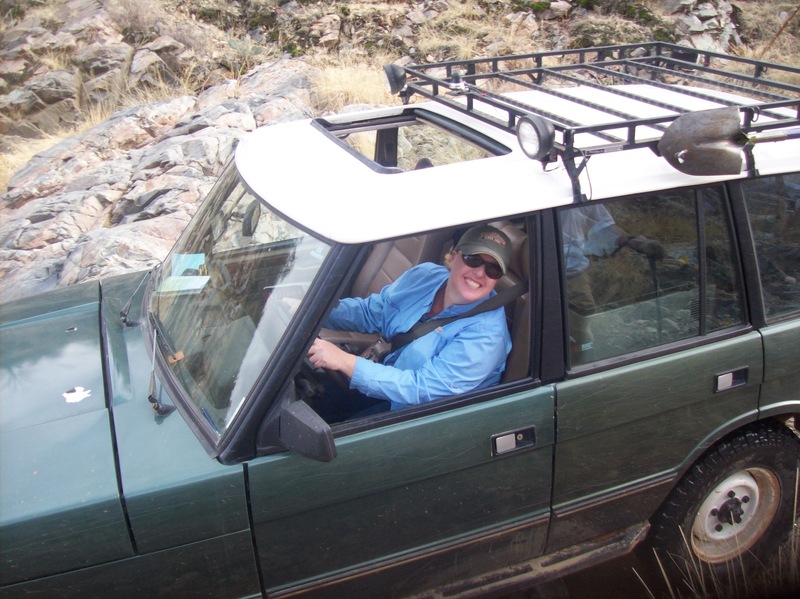 John has been an avid offroader since the age of 16 when he purchased his first 4x4. 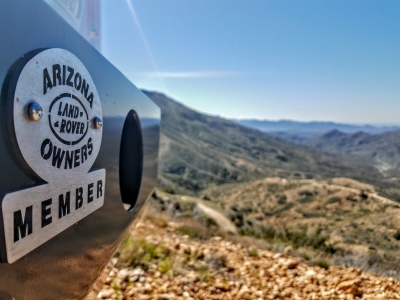 A Land Rover enthusiast and owner for many years, he has been an active member of the Chicagoland Rover Club since 1998 and Arizona Land Rover Owners (AZLRO) Club since arriving in Phoenix. 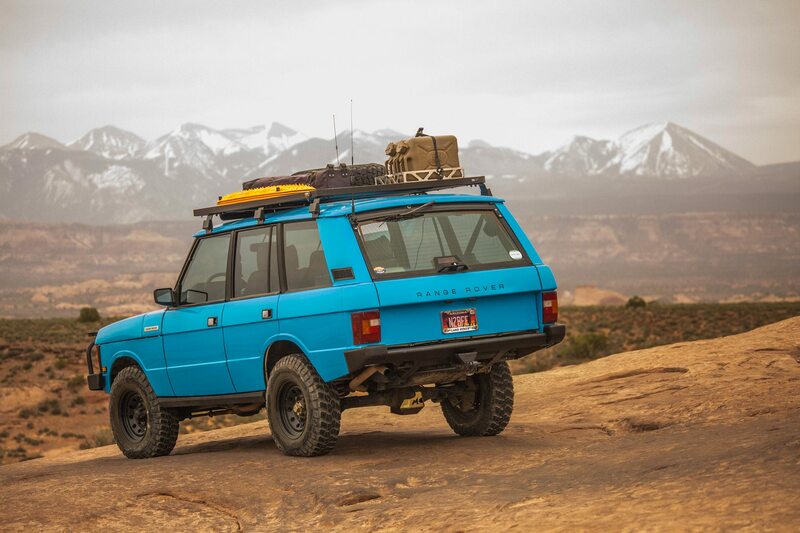 He has owned many different Land Rovers over the years with his most recent purchase being a 1984 110 Dormobile. Our monthly meetings are usually held on the second Thursday of the month. We meet, greet, and eat at 6:30, and the agenda and live stream starts at 7:30pm.